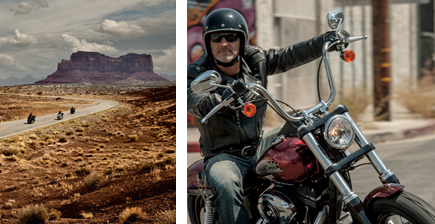 Harley-Davidson® Authorized Tours offer access to some of the most incredible corners of the world and takes riders on epic journeys along some of the best roads for Harley motorcycles. Harley-Davidson® Authorized Tours are operated by carefully selected specialist third party tour operators to offer you the ultimate riding adventure combined with unsurpassed quality and service. The open road beckons.... start planning your next adventure. With over 300 tours globally each year, our unique programme ranges from weekend breaks to international rally rides to two week adventures of a lifetime. There are some great roads out there. Who better to ride them with than Harley-Davidson?